Petra Systems started out as Petra Solar, offering an integrated utility grade solar, smart grid, and power management solution primarily designed for deployment on utility distribution and streetlight poles. Today, the Petra Systems Smart City Solution™ transforms streetlights into revenue-generating assets that extend the value of LED retrofits, enable net zero street lighting and strengthen the economics of Smart City projects. 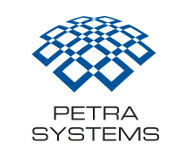 Petra Systems is an active portfolio company of AVP III.